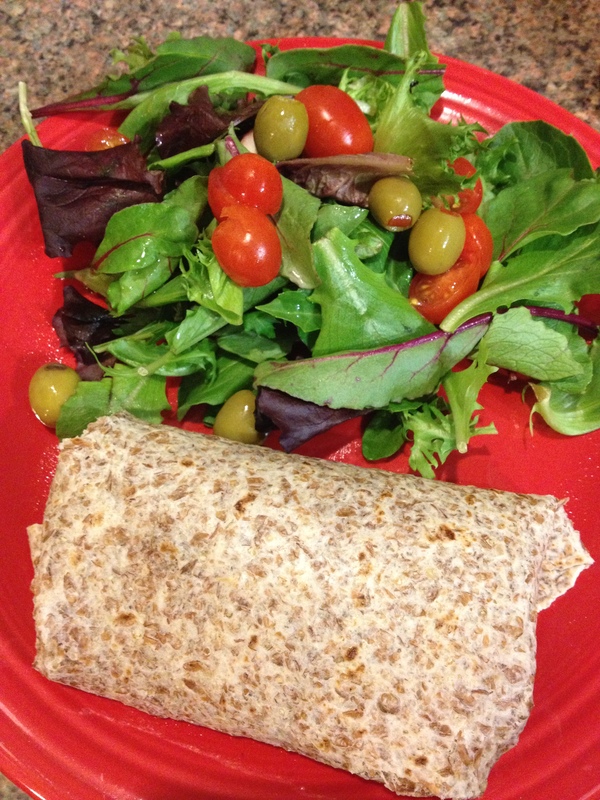 I really have no idea what inspired me to make Sloppy Joe and put it into a wrap. 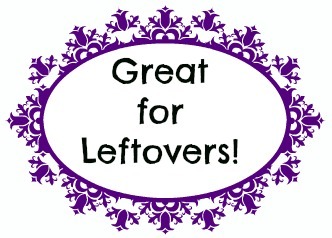 Let me tell you… the meal was JUST as sloppy as it is on a potato roll, if not MORE! Grab a few paper towels and make this one for your fam! Buns (for traditional SJ’s), Wraps (what I did), or a big spoon! 1. Finely dice all of your veggies. 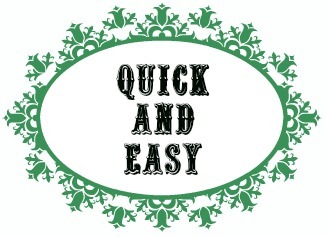 Heat about a Tablespoon of Olive Oil in a very large skillet or dutch oven. Season with Sea Salt and Pepper (just a pinch of both will do) and saute for 5-10 minutes. Add Garlic and cook for another minute. 2. Add the ground beef to the veggies. Chop, stir, cook until the meat is no longer pink and is fully cooked. Chop and chop and chop until the meat is almost the same size as the veggies. 3. Add your tomato sauce, tomato paste, Sweet Baby Ray’s BBQ Sauce, Worcestershire Sauce, and Hot Sauce. Stir, cover, and simmer on medium-low heat until it has thickened (for about 10 minutes). Serve any way you’d like… buns, wraps, or just enjoy with a big spoon! Get your veggies sauteed up! I liked chopping them really small so they would mix well with the ground beef. 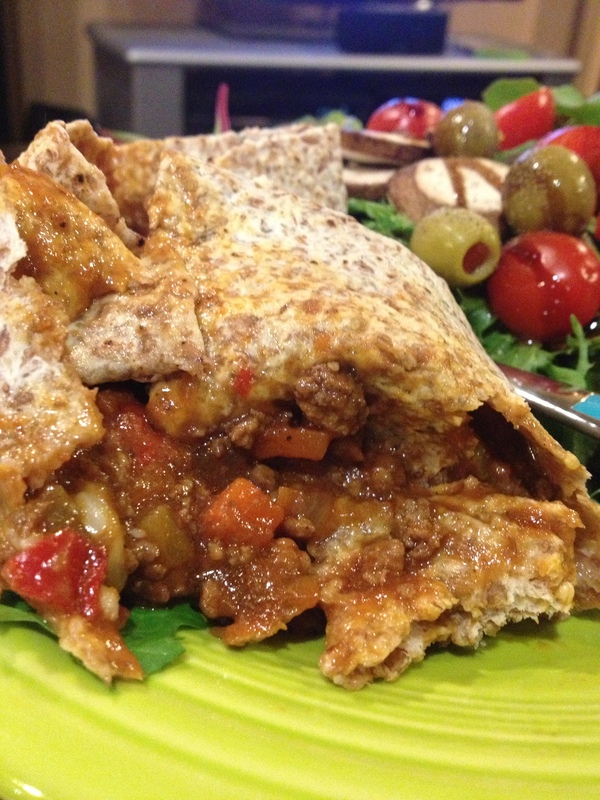 So, for some reason I had imagined Sloppy Joe in a wrap… so that’s exactly what we did. 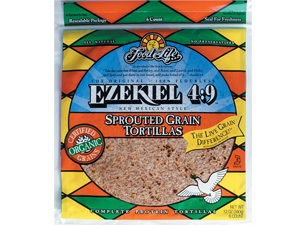 I used those Ezekiel Sprouted Wraps which are super healthy; they have only 9 ingredients (all organic), are high in fiber, gluten-free, and taste really good. You can find them in the frozen section of the grocery store if you haven’t tried them yet! The Sweet Baby Ray’s BBQ Sauce is so freakin’ good in here. It is my absolute favorite BBQ sauce as it is, but the sweet & smoky Hickory Brown Sugar flavor is perfect for Sloppy Joe. I added some extra onto the wrap before I closed it up as a nice finishing touch too. You can try to use any BBQ sauce but if you see this stuff on sale… pick one up… or two… because it is SO YUMMY! 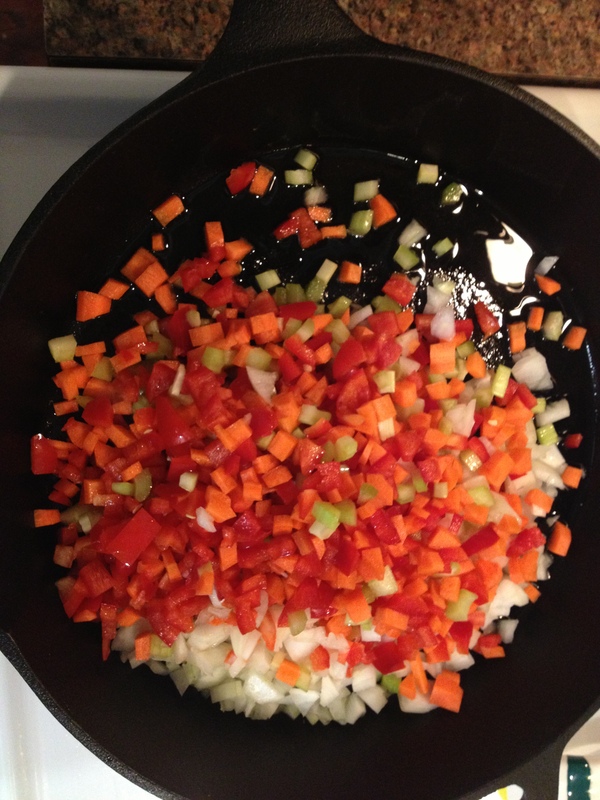 Although it made the recipe sorta non-traditional… I loved adding the veggies to this Sloppy Joe. It gave the mix tons of flavor but also they bulked it up allowing you to eat more for the same amount of calories. Hm… now that I think of it, what a great way to sneak in veggies for kids too! We shared this batch with our roommate Adam and had enough for extras and leftovers the following day at work. This is a great recipe for those one-pot cooking nights and for when you need to feed a lot of people! 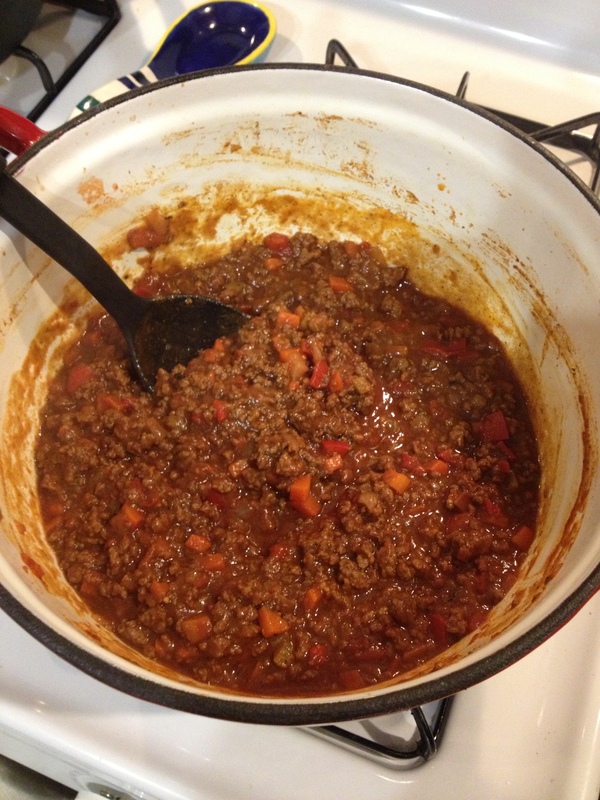 Its been a while since I’ve made sloppy joes… as the weather’s been a bit chilly here I think I’ll make some. Thanks for the thought! Where are ya Bill? Its finally getting warm in Philly… Trying to get the last few soup recipes of the year in! Sloppy Joes are such a great comfort food too! I’m on the currently chilly shores of Long Island. We’ve had a day or two of spring but it hasn’t quite taken hold here yet. 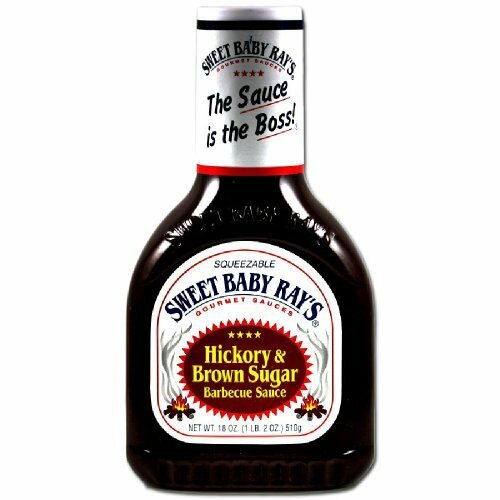 Sweet Baby Rays is the bee knees of store bought bbq sauce! Looks delicious Beth!